China's Coal-Fueled Boom Has Costs Seventy percent of China's energy comes from coal, the dirtiest of all fuels to produce energy. Coal is literally powering China's seemingly unstoppable rise to superpower status, but not without costs to people and land. 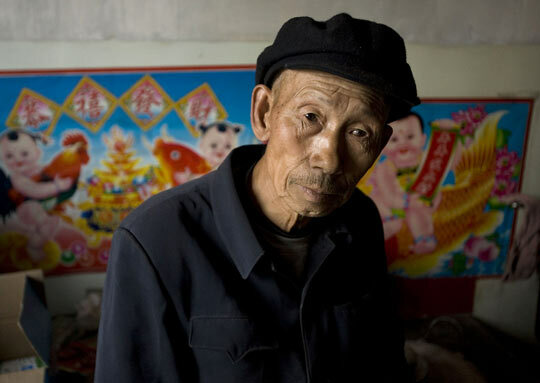 Wu Gui has been a coal miner for 34 years. He says coal is a key to China's economic success. Tou Deyue's son died in a coal mine explosion along with 71 other workers two years ago. China's manufacturing juggernaut is largely fueled by coal-fired power stations, like this one in Datong, Shanxi province. Seventy percent of China's energy comes from coal, the dirtiest of all fuels to produce energy. Coal is literally powering China's seemingly unstoppable rise to superpower status, but not without costs to people and the environment. Coal miner Wu Gui, who has been working the mines for 34 years, describes his role in China's economy as "a glorious job." "I am making a contribution to the country," he says. "If we couldn't find coal, China couldn't get richer and more powerful, and we wouldn't be able to improve people's living standards." Beijing is relying on men like Wu to power its future, says Yang Fuqiang of the global Energy Foundation. He notes that China is the world's leading consumer of coal. China will build 500 coal-fired power plants in the next decade, at the rate of almost one a week. This massive appetite for coal means equally huge greenhouse gas emissions. 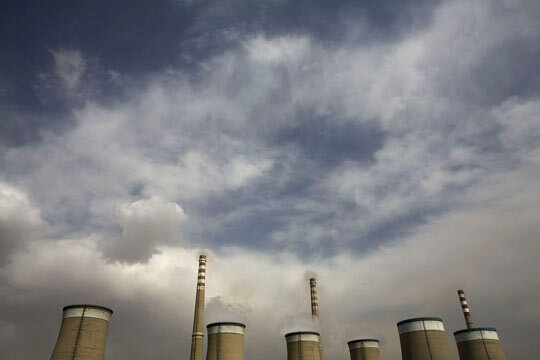 But Xu Dingming, one of the men in charge of China's energy policy, says coal-fired power plants are the quickest solution to its urgent need for more power. China has more than 10 million people who still don't have electricity. In rural areas, many children have never seen an electric light. Coal-fired power plants are not just bringing light to rural villages. They're also powering the factories that make up China's exploding manufacturing base. In the past year, China has added generating capacity that is equal to the whole of France's electricity grid. But this ravenous demand for electricity is putting pressure on the coal mines — and there's a terrible price to be paid. In the village of Xishui, 69-year-old Tou Deyue scrambles over the rubble outside his front gate. "Look how it's all collapsed here," he says. "You can imagine how much worse it was underground." Each day when he sees the rubble, he's reminded of his loss — his son died inside the coal mine, along with 71 others, in a gas explosion two years ago. Tou says that the rising price of coal blinded the mine boss to everything. Three days before the explosion, someone had reported a gas leak in the mine. But the boss ignored it and ordered miners to keep working, Tou says. He says the boss only cared about production and profit — not the safety of workers. China has 5 million coal miners and the search for coal kills thousands of them each year. But there's another price that the whole world will pay in terms of the effects on climate. Beijing needs coal to fuel economic growth — and guarantee its very survival. Yet its coal habit means it will soon overtake the United States as the biggest emitter of greenhouse gases, some say as early as this year. How much money and effort Beijing chooses to put into controlling the emissions will be a critical factor in global warming. If China doesn't act aggressively, its addiction to coal will have a profound effect, not just domestically but on the rest of the world as well.